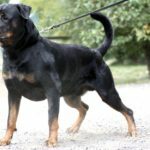 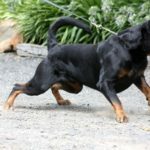 Medoc (more commonly known as Deezel) is an awesome young male rottweiler! 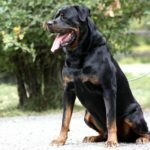 He is large, with excellent substance, beautiful classic head type, exceptionally dark eyes, great bone strength and an exceptional temperament. 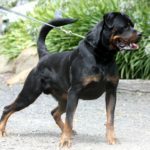 Deezel has been lovingly raised by George, Sia and their son Max. 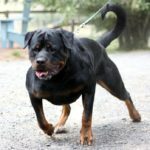 He is a stable and social, take anywhere rottweiler; although he can be boisterous and certainly does have an underlying strength that is waiting for an excuse to reveal itself! 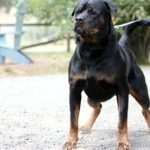 Deezel has intense drives and his owners need to be on guard to keep him capped and under control. 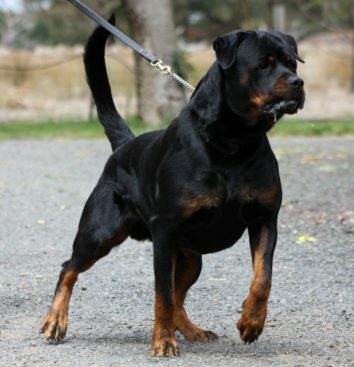 Being the son of Oleg and Esky, Deezel carries the formidable working rottweiler bloodlines of our imports Clyde and Boris, along with the Jeneks lines via Matilda and of course the old Rotvel lines through Graf and Felix; the famous imports of the late 80’s and early 90’s.